I find so much joy in patterns that can be made and gifted all year round. Whether this be a quick teacher appreciation gift or a birthday gift for a friend, it works up quickly and is guaranteed to get some “oh that’s so cute” and “wow! did you make this?” comments from your family, friends and co-works. • 20 yards of color A and 10 yards of Color B using Bernat Maker Home Dec or other bulky 5 weight yarn. Size: Finished cozy should be approximately 4 inches wide and 3 inches tall. Chain 30. Sl st to first ch to form a circle (make sure your chain is not twisted). Rounds 3-7. Repeat round 2. Round: Ch 1, **Sc in mc, ch 2** Repeat from ** 4 more times. Join to first st with sl st. Round 2: Ch 1, **Sl st in next st, 5dc in ch sp** Repeat around. Join to first st with sl st.
Leave a long tail for sewing to your coffee cozy. Cinch magic circle tight to close the center of the flower. Sew flower around perimeter onto your coffee cozy. Sew button onto middle of the flower. Enjoy your favorite tea, coffee or other hot beverage of choice! I would love to see your creations! Tag me with #wildflowercozy or @crochet.by.ellen on Instagram. Buy the discounted PDF Here!!! Get notified FIRST when free patterns become available!!!! Join my newsletter. ***Please do not edit or alter this pattern in any way. Do not share or sell this pattern. You may sell items using this pattern but please, credit my shop by using any of my above links for Facebook or Etsy, or by using my Instagram handle, @crochet.by.ellen. 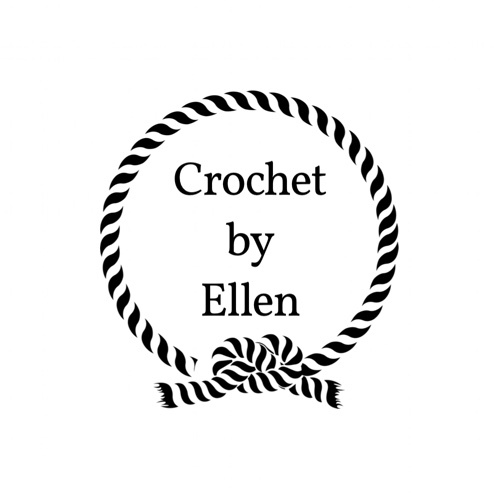 Tag me in your photos by using #crochetbyellen or #wildflowercozy for a chance to have your work featured. Thank You! Previous PostPrevious Sakura Kit Pre-Order!!!! Next PostNext Home Dec Pattern Palooza!